My doctor gave me this! 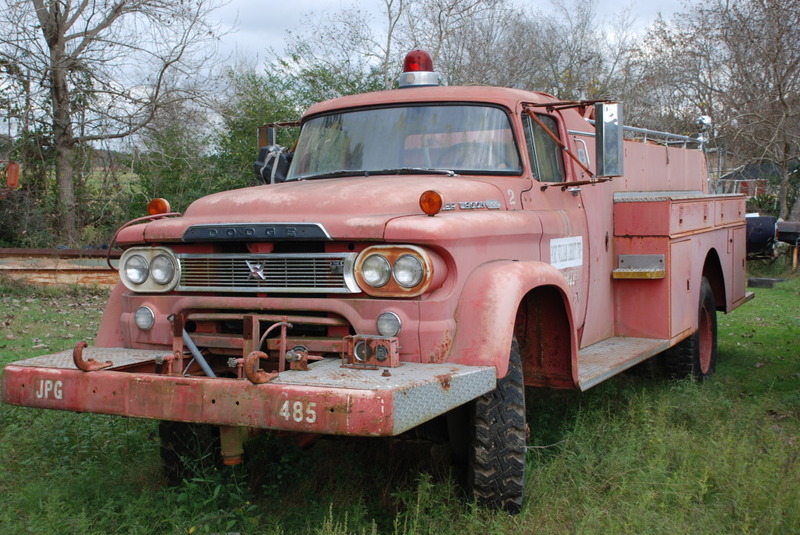 Its a 1958 W500 Dodge Army Fire Truck with a HOWE bed and a rare Power Giant cab. Plans are to resto him to good usable parade condition. 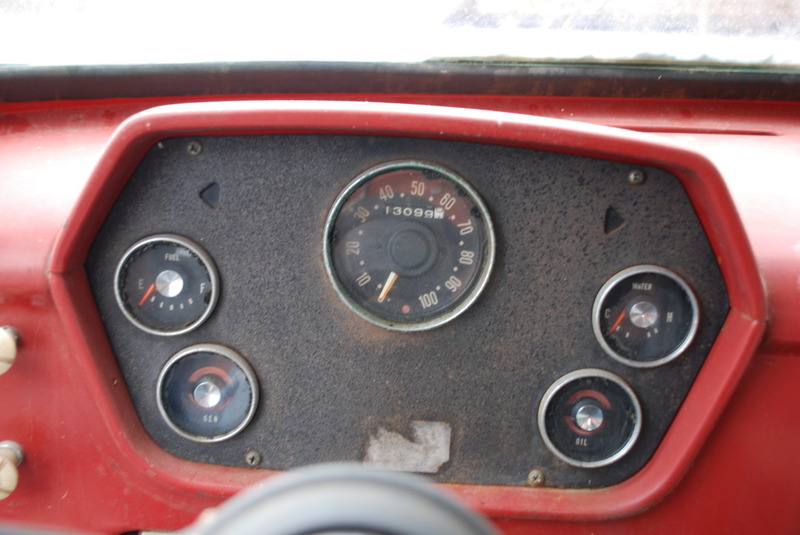 The truck has only a bit over 13,000 miles on it, but 3600 hours (that’s a lot) on it based upon the hours meter. We wanted to install some super single military tires on it like the newer military trucks are using and lose the 20 inch split rim widow makers. It has a 318 polyblock that needs some loving right now. A rocker arm is eaten on the bottom the shape of the top of the valve, and is dangerously close to the keeper. This would be a great learning project for someone who wants to learn engines. I will be throwing a rebuild kit in the engine, redoing the heads, and upgrading to an electronic ignition. 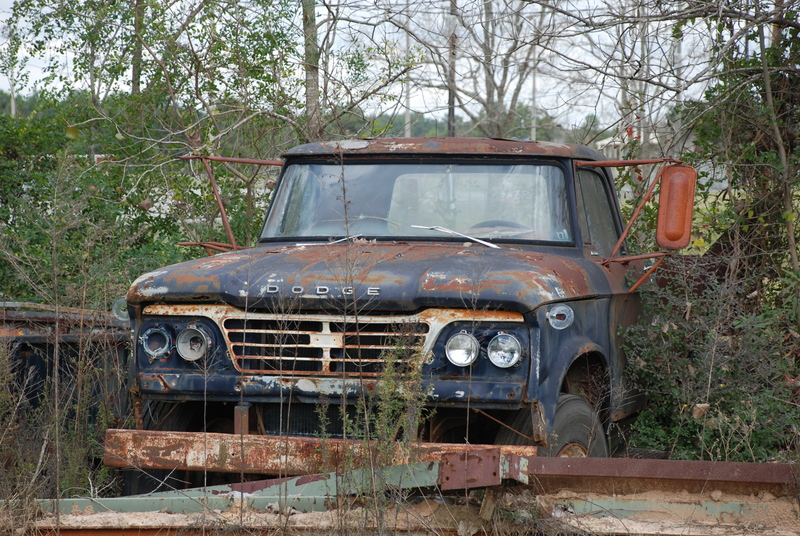 Hopefully it will yield up the used parts needed for that repair. 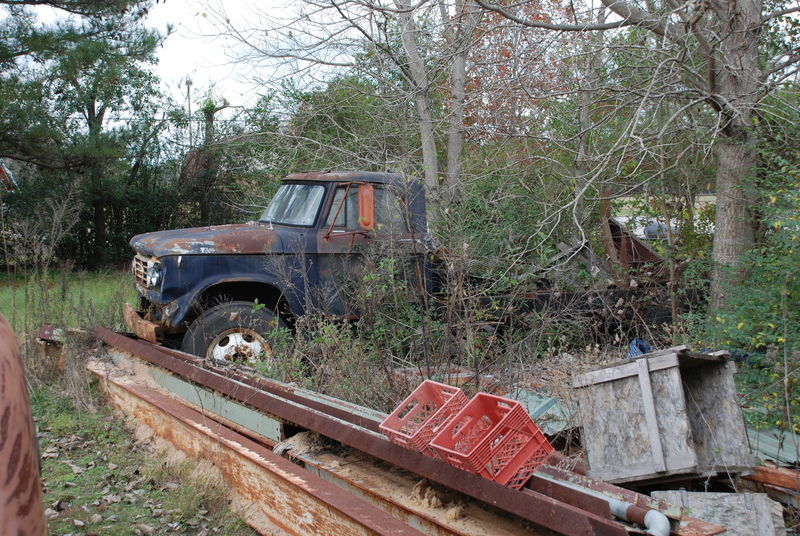 Old Blue really should be turned into a 2 ton rat rod, which would be a fun project, but that’s a whole other page. 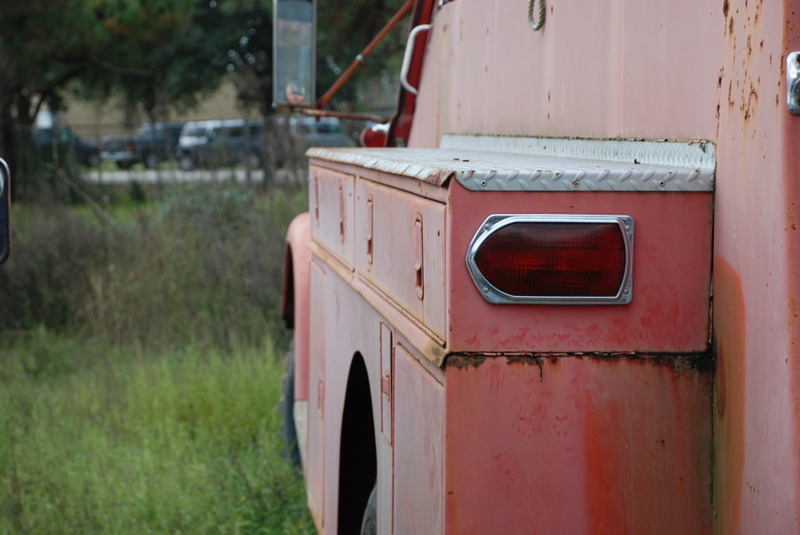 The tail lights are actually glass, and the chrome bright work will most likely clean up nicely .